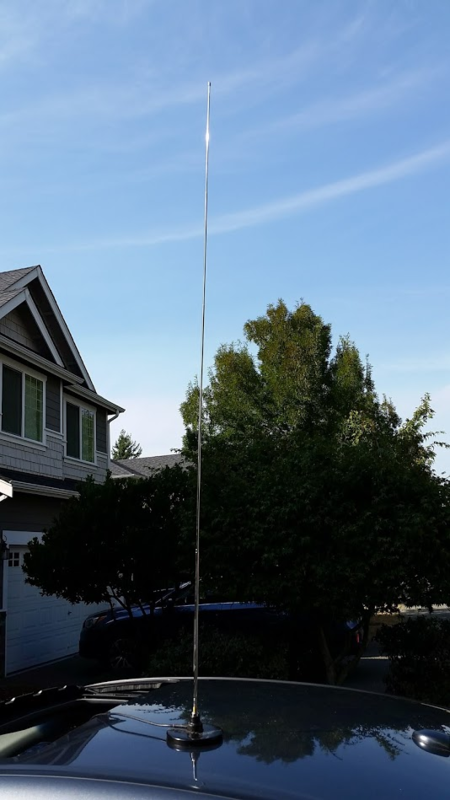 I picked up this antenna at the SEA-PAC hamfest last spring. It was only $6 at the show ($7.50) retail) so I thought it could be an interesting backup whip for HF use when combined with a loaded coil. That worked ok for the higher bands. As expected 6,10,15,20 meters worked reasonably well. I could get a tuner match a lower bands, but no signal reports to verify. One thing to know about this little whip, is the threading is NOT the normal 3/8" x24, but a much smaller. I used this larger magnetic mount with a 3/8x24 female thread. So any CB style whip can thread in. I find this mount very handy to keep in the tool kit. Anyhow, what's pretty slick about the featherweight whip, is if you extend fully all section EXCEPT the bottom most, it's a convenient 1:1.5 SWR on 145mhz. From my driveway I tested out several Winlink packet stations (all simplex) and made 3 connections further than 12 miles. 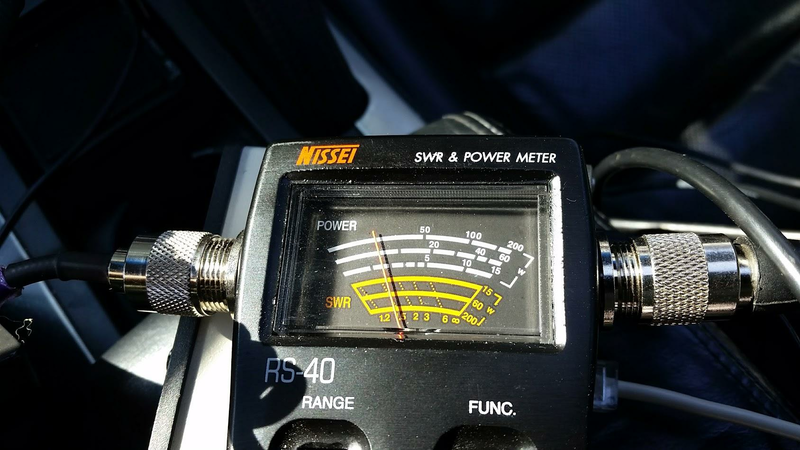 I certainly wouldn't drive around with this configuration, but in a pinch when your primary mobile antenna isn't working (well enough) this is a handy item to keep in the trunk that can quickly be adjusted to a wide range of frequencies and bands. Yep, Antennas are where you find them. Good use of existing material. Very nice. Like you said, it's one more item in the tool kit, both literally an as a figure of speech.